long time no read... This is Bernhard Gehberger from TANGO-DJ.AT, Association for the preservation and provision of Argentine tango with my newsletter about our international tango events, tango music and new membership options! In case the pictures do not display correctly in the e-mail, please visit the online version instead. Enjoy! VIENNA CALLING TANGO MARATHON - SPRING EDITION! Featuring the rare vals "Recordando tus promesas"! 50% OFF SPECIAL PRE-SUBSCRIPTION DEAL in JANUARY! 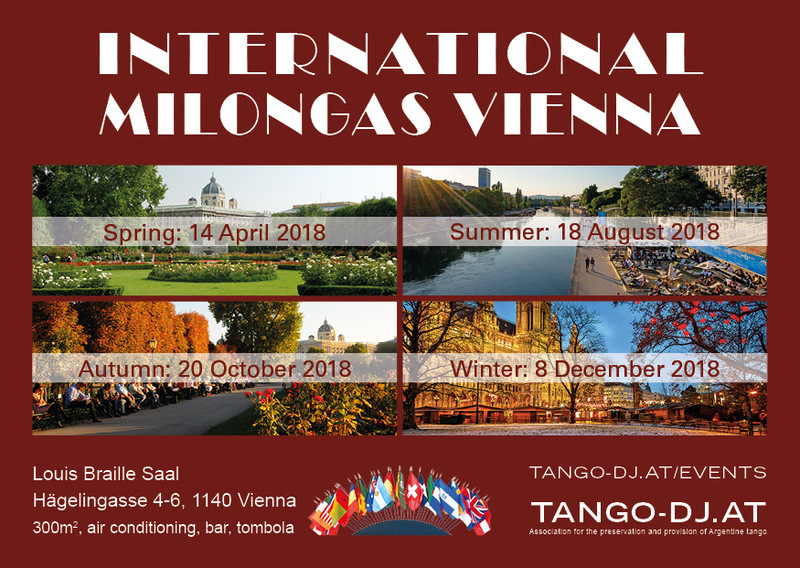 If you are planning to visit Vienna, or living in Vienna, we look forward to welcoming you at our International Milonga taking place once in every season. We invite renowned DJs from all over Europe offering you best music. The 300m2 venue features air conditioning and a perfect soft parquet floor for you to enjoy dancing! Please find details and updates on our website https://tango-dj.at/events/IM. 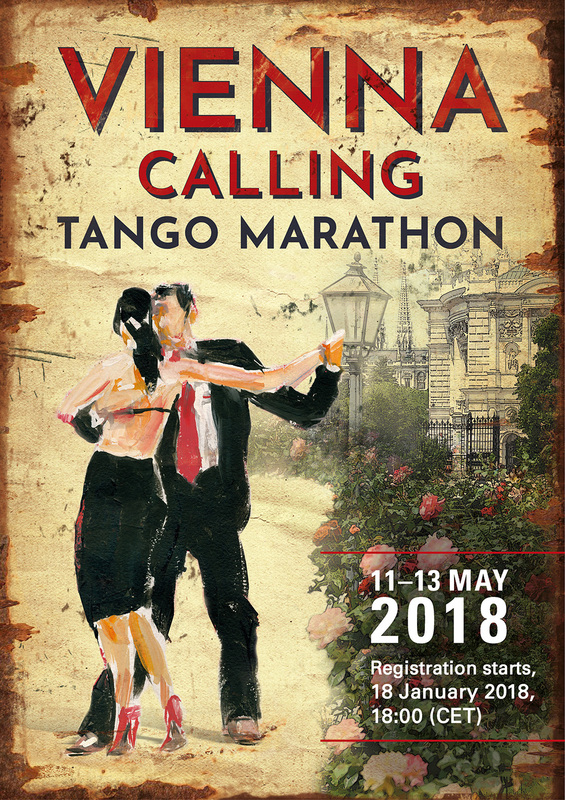 VIENNA CALLING TANGO MARATHON 2018 SPRING EDITION! Registration is mandatory and will start 18 January 2018, 18h (CET). We are looking forward to spending another great tango marathon weekend again with lots of dancers from all over the world! We are going to publish details about the program and our DJs on our website http://viennacallingtangomarathon.com. Before publishing 78 RPM transfers on CDs, Akihito Baba published his transfers on LPs for Club Tango Argentino (CTA). In case you are interested in the scope of his complete works, we have updated our graphic of CTA releases and added the CTA LPs which have been published prior the CTA CDs. As you can see the first three LPs have been published as early as 1982, being followed by 129 LPs summing up to 132 LP releases between 1982 and 1991. The LP releases cover a number of 1984 tango recordings, all of which can be found in our tango database. In 1992 the first 9 CD compilations have been published and were followed by 267 CDs until 2015. 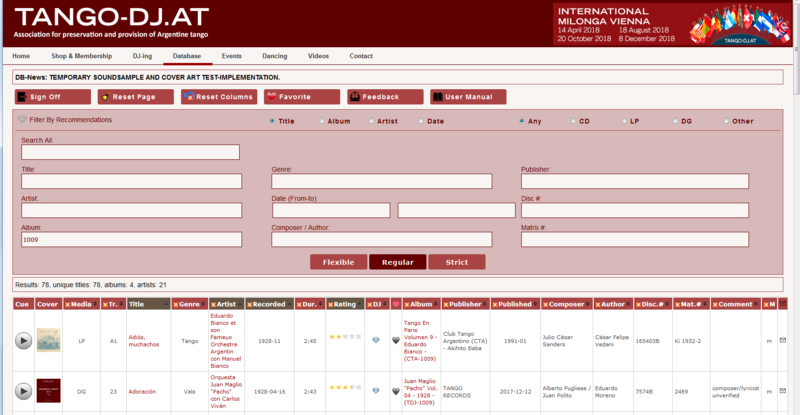 The CD releases cover a number of 5472 recordings, all of which can be found in our tango database as well. In total Akihito Baba published the incredible number of 7456 recordings on LPs and CDs. Lots of tango music would be missing in our tango community nowadays without this amazing contribution. We are very happy that we were able to complete this collection and eventually found the means to process and add it to our tango database. We produced LP front and back cover fotos, post-processed them, digitized the LPs, cut the raw transfers, ripped the CDs, scanned the CD front and back covers and researched the meta data for almost all of the recordings in order to be able to make this information available to you. In the new version of the database you are going to be able to listen to extensive sound samples of all of those recordings and flip through the complete art work of LP and CD front and back covers. The basic meta data information will remain free to public access, the exciting new features will be made available to our members only. We plan to release the new TANGO-DJ.AT database version in January 2018. We hope that you find our work helpful. If you choose to subscribe to one of our membership options you support us to process more collections and to provide extensive information about tango music to the tango community. Sadly no re-prints of CTA LPs or CDs are produced by Akihito Baba, so if you are interested in those you have to look out for some remaining stock, or 2nd hand offerings. We still have a few original CTA CDs and LPs in stock, please take a look if you are interested in those. Tango Records is a music label founded by Bernhard Gehberger in 2015. Tango Records publishes special and hard to find tango recordings for tango DJs and collectors based on the collection of Bernhard Gehberger. Every recording is carefully restored by hand, remastered and published as compilations of tango orchestras or tango tandas. The compilations of tango orchestras are based on discographic research of those orchestras. The recordings are presented in chronological order of their recording date sorted by matriz numbers where possible. But keeping in mind that it should be attractive for tango DJs the focus lies on recordings suitable for tango DJ-ing. Therefore only some of the genres are featured - mainly tango, vals and milonga. We try to cover less known orchestras, and/or orchestras for which it is difficult to find recordings on commercial offerings. The compilations of tandas take into consideration the experience of tango DJ-ing and try to combine special recordings which work together for various reasons. Tanda compilations will consist of 3 to 6 recordings. Sometimes there are only a maximum of three suitable recordings available which could work fine for milonga or vals tandas. Normally a tanda will consist of 4 matching tracks, but we might include one or two more so there is a possibility to make variations of that tanda. Again we will focus on special, or hard to find or combine tracks. Both series do not mean to replace the main stream tango music a tango DJ will need to obtain from commercial sources. The expenses and work load to find, obtain, transfer, process, restore, remaster, compile and publish those recordings for a very small niche market makes it very difficult to finance. So for now TANGO RECORDS releases are being made available to supporting TANGO-DJ.AT members only. Again as for the tango database, our work greatly depends on the contribution of the tango community itself, so we appreciate your support by subscribing to one of our membership options enableing us to continue and intensify our work for you. We are looking forward to providing you with more and more hard to find tango music in bet possible quality! This tanda by Enrique Rodríguez is defenitely not a main stream tanda and should be used carefully by experienced tango DJs for an experienced tango crowd familiar with milonga candombes and in a suitable situation. It covers three special Milonga Candombes by Enriqe Rodríguez, each one having its own very unique moment, rhythm or feeling. As you can see the recording dates range from 1943 to 1967, which is another no-go under normal circumstances. In this case however the idea is to create a journey through three very special, hard to find and hardly known recordings by Rodríguez ending with the most powerful one. The tanda was build around the last track Color punzó which is almost unknown and very hard to find. But surprisingly the quality of that recording is outstanding, so the other two recordings were carefully selected to build up to this last one. However, please keep in mind that not every dancer / community favor Milonga Candombes for dancing..
You can pre-listen this tanda by using our tango database! Available as zipped FLAC download for members. You can pre-listen the whole album by using our tango database! Just in time for christmas, JUAN MAGLIO "PACHO" VOL 4 is finished. And as a special treat for this "christmas edition" this compilation happens to include the infamous, beautiful and super hard to find vals "Recordando tus promesas" together with two other valses! TANGO-DJ.AT is a non-profit association organizing tango events, maintaining a transfer studio and the largest digital accessable tango music archive in the world. Get unrestricted access to the largest digital accessable tango music archive in the world AND benefit from a vast offering of tango music, specialized information, priority support, discount on purchases and dance events by subscribing to our TANGO-DJ.AT FULL MEMBERSHIP! By choosing one of our membership options you support our work and help us to provide more information and tango music to the tango community!